IMMERSE YOURSELF IN NATURE AT WHITTAKER WOODS … WHERE GOLF IS A NATURAL WONDER! 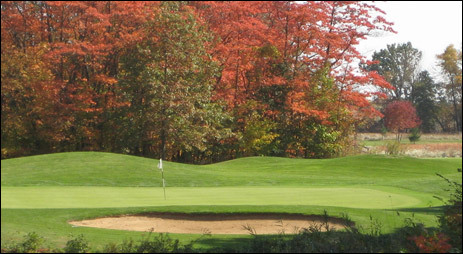 Serene, tranquil, an “artist’s masterpiece” are words that describe Whittaker Woods Golf Club. Sprawling over 400 acres of natural habitat and lush vegetation, designed by Ken Killian, the 7072-yard, par 72 golf course integrates natural wetlands and dense forest into a challenging golf encounter you won’t soon forget. Water hazards straddle 16 of the 18 holes with strategically-placed bunkers dotting each secluded hole. After a day of golf, your experience with nature continues at Whittaker Woods Restaurant & Bar, sister to Chicago’s popular O’Brien’s Restaurant & Bar. Enjoy delicious seasonal cuisine for lunch or dinner throughout the week, or feast on a bountiful brunch every Sunday. If you’re planning a golf outing, corporate event, wedding, or any other function, the natural setting of Whittaker Woods is the perfect venue. Whittaker Woods, approximately 72 minutes from Chicago, makes the ideal “great escape” for the day or a weekend getaway. • A memorable championship 18 carved from dense woods and wetlands. • Close to beaches, wineries and casinos in southwest Michiganʼs spectacular Harbor Country. 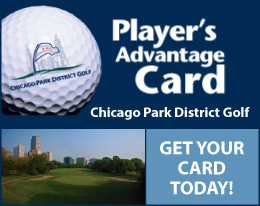 • Pure recreation and splendid isolation, less than 90 minutes from downtown Chicago!